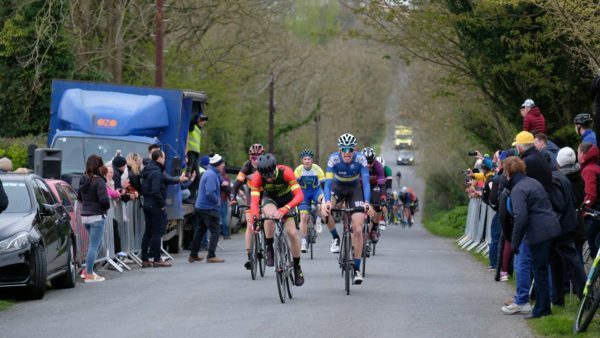 Rebuilding in recent years after some of its top riders have stepped away from racing; UCD Cycling Club has taken a tidy victory at the Peter Bidwell Memorial. 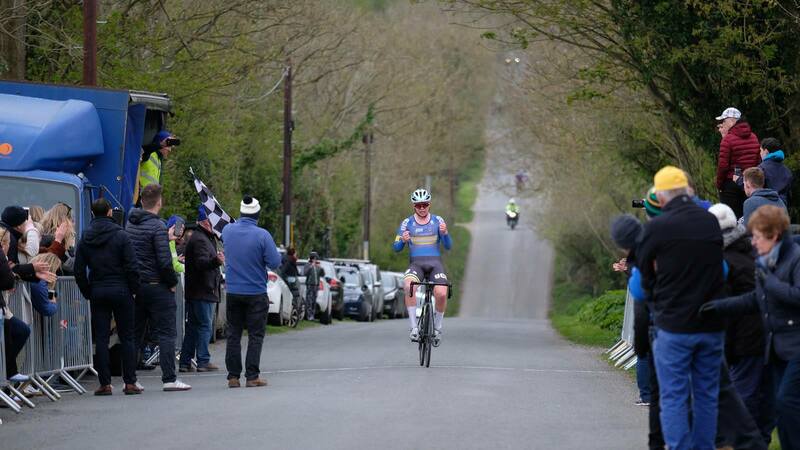 Sean Landers took the honours for the south Dublin club while his team mate Conor McKenna claimed 3rd about 10 seconds behind. Sandwiched between them in the runner-up spot was Paul O’Reilly of Dan Morrissey-MIG-Pactimo; himself a former UCD rider. The event, named in honour of the former chairman of promoting club Drogheda Wheelers, was run off in handicapped format in Donore. During the eight laps of the local circuit, for a total race distance of 51km, the racing was marked by aggression; both before the scratch men mopped up everyone ahead and afterwards. However, despite plenty of splits occurring, a large group looked set to contest the finish before Landers shot off the front solo on the final lap. And once he got ahead he managed to hold a gap and win it solo; easier said than done. After O’Reilly and McKenna in 2nd and 3rd came Craig Sweetman (Stamullen RC), Tilt Talumaa (St Tiernan’s CC) and Niall Craven (Drogheda Wheelers).